A few weeks ago, I was reflecting on my med school journey (as I often do), but this time getting frustrated. Why was my journey so different than I imagined it would be 6 years ago? In a matter of seconds, two words came to mind – curve balls. Yes, Derin, life is always going to throw some curve balls your way and you’ve got to roll with the punches. 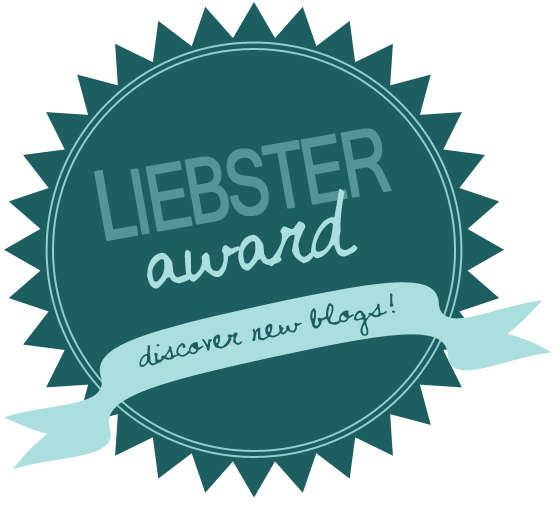 Hence why I created this blog in the first place. Moving in the middle of my sophomore year of High school. I moved to another state in the middle of my 2nd semester. Besides the challenge of making new friends, the curriculum was different (semester classes vs my previous year-round classes), which was disruptive to my education. This change however turned out to be one of the GREATEST blessings. 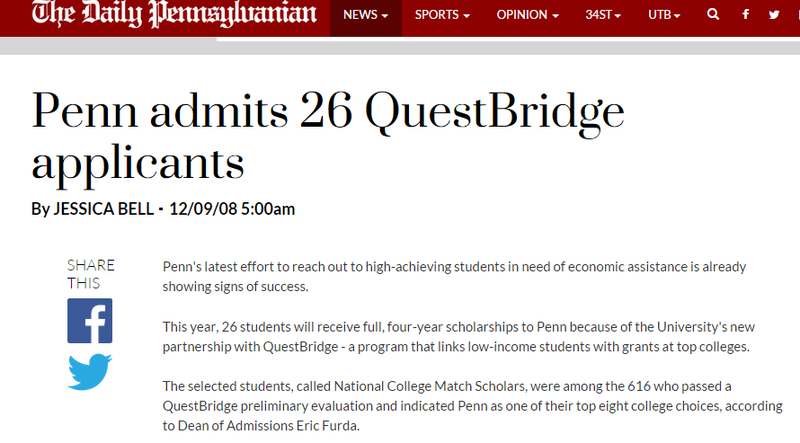 Prior to moving, I googled my new school and found a short article on a former student who was a recipient of the Questbridge National College Match Scholarship. I was amazed and promptly bookmarked it for future reference. A year and a half later, I applied to that same scholarship and not only became a finalist but a recipient! This was huge for me. As a rising high school senior, paying for college was something I was highly concerned about. I immigrated to the U.S. with my family just 7 years earlier, had no college savings/ any saving really, and was strongly considering the Army Reserve to finance my education (my parents and I even met with a recruiter!). The move and unexpected change, turned out to be a wonderful blessing. Fast forward to my college graduation. I was super excited as one can imagine, but also looking forward to a paid summer internship in Ghana. I would be working with high school kids at an innovation academy. Having tried for the past 2 years to attain an internship in Ghana, I was thrilled my dream was finally coming true. Even better, my flight was being paid for! Since I had this post-college plan, I stopped looking for jobs and decided to post-pone the search till my return to the U.S. Well, 2 weeks before I was set to leave the country, the internship was cancelled due to funding. My heart sunk. 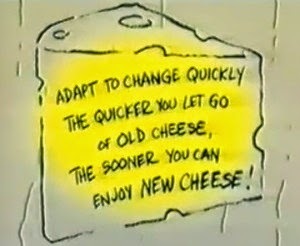 WHO MOVED MY CHEESE?! It was certainly an unexpected change and before I could let the disappointment fully sink in, I began applying for full-time jobs – literally less than 12 hours after receiving the news. Reality sunk in, I was a college graduate with no immediate plans. I was in panic mode. One of the jobs I applied to during that frenzy is the job I currently have. Funny enough, the position had been recently posted. When I saw the description, I was like what? Could it be? Research “capturing contextual and socio-cultural factors that contribute to health disparities” within a clinical setting and at one of the country’s top health systems. Whoa! This is exactly why I majored in Sociology of Health and Medicine! Well, I got the job and the rest as you all know is history. I love what I do! All this to say, unexpected changes can TRULY be a good thing. Thinking about my med school journey, I’ve certainly had my share of unexpected changes. Sometimes it can be difficult to deal with, but one just has to keep chugging along. Just roll on out with the punches. As I wrote in an interview, a re-direction can be a good thing! See interview here. 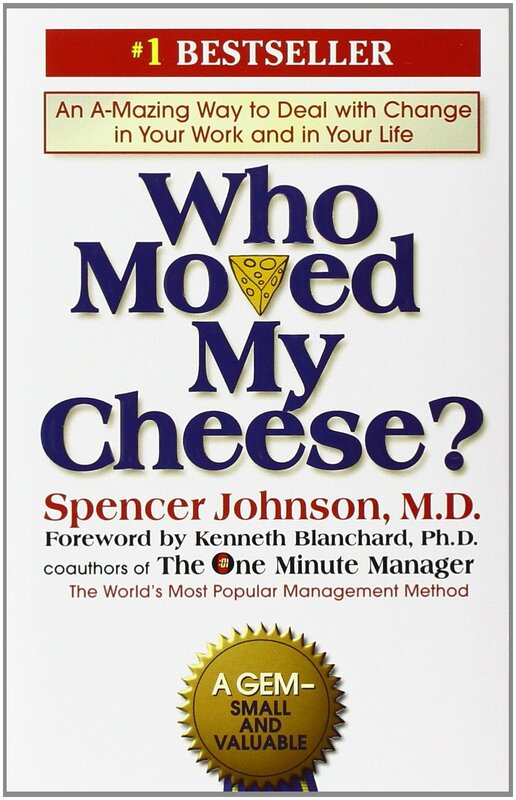 For anyone that has difficulty dealing with change, do check out this book: “Who Moved My Cheese?” by Spencer Johnson, M.D. I first read it when I was 14 years old and loved it. As someone who has dealt with quite a bit of change, I highly recommend it! How do you deal with change? Drop a comment below! Hey Y’all! 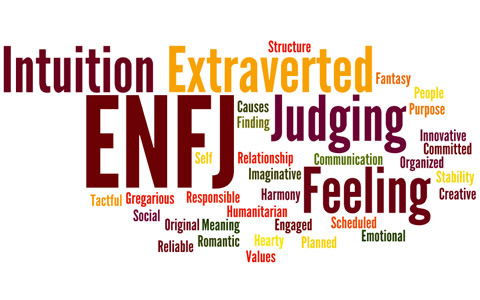 I received an email about this program and I figured I’ld share with my younger readers. You don’t have to be a Penn undergraduate, so if you meet the eligibility criteria, I encourage you to apply! I personally did not do the program, but it definitely seems like a GREAT opportunity. Check out the details below. Also, if you would like me to post other opportunities like this, do let me know! 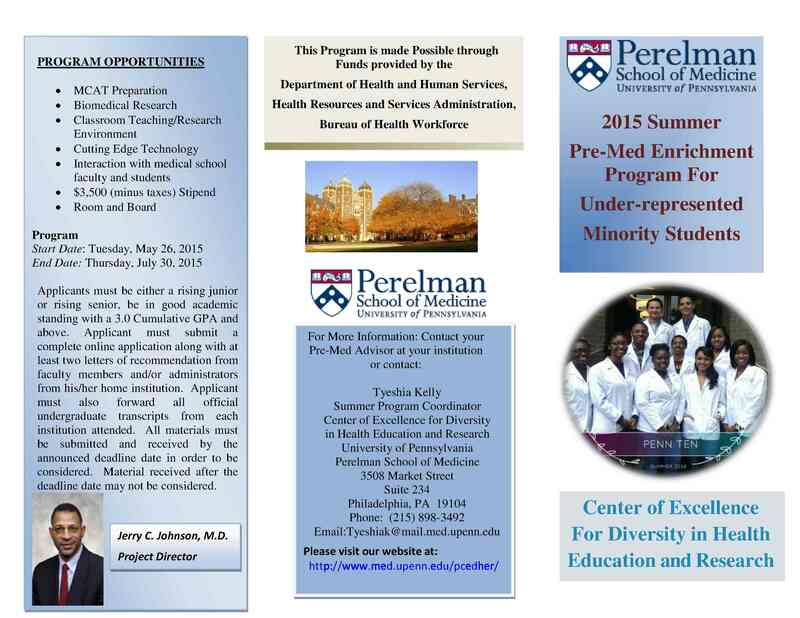 The Center of Excellence for Diversity in Health Education and Research of the University of Pennsylvania, Perelman School of Medicine is now accepting applications for the 2015 Summer Pre-Med Enrichment Program for Under-represented Minority Students (for undergraduate students). The application with all required documents must be received by 5:00 P.M., January 31, 2015. In addition to the completed application, applicants must also submit two recommendations from faculty members or administrators at their undergraduate institution, on official letterhead. Letters should comment on the student’s academic performance and potential to apply and be accepted to medical school. 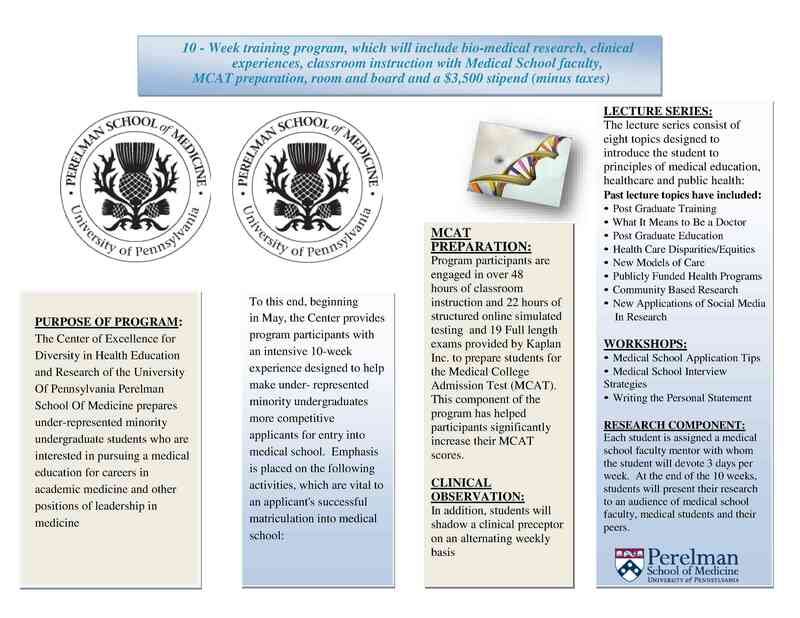 If the student is selected, they will participate in an intensive 10-week training program (end of May to July 2015), which will include bio-medical research, clinical experiences, classroom instruction, Medical College Admissions Test (MCAT) preparation conducted by the Kaplan Educational Centers, and other activities designed to assist students in gaining entry into medical school. Students are paid a stipend of $3,500 (minus tax) and are provided housing and two meals per day (Monday thru Friday) for the ten-week period at no cost to the student. This is a great opportunity for students who are serious about becoming a physician. This program is made possible through funds provided by the Department of Health and Human Services, Health Resources and Services Administration, Bureau of Health Workforce.